The world around us shapes who we are, what we think and what we like. So not surprisingly it also shapes what we do. In regards to hobbies that is especially true as it often mimics the kinds of aspirations one has. This might be in sport and fitness where our ideals define the regiment we throw ourselves at or in fashion terms, we dress the way we want to be seen. This is especially true also for the kinds of hobbies that imagine a more playful alternative reality in the world of miniature models. Some are connected to history with the vast battlefields some American TV presidents play with – see House of Cards – or the superhero worlds of Warhammer 40’000 or indeed some of the model railway worlds companies such as märklin and other have been producing products for the better part of the last century. These alternative model worlds are of particular interest in the way they connect to what we would probably call the real world or at least the shared space of the everyday. Two strategies can be identified. Either they mimic and mirror it or they reject and oppose it. In the case of the model railway it is the former and from an architecture or planning perspective its fascinating how the real world examples find their way into this miniature world where everything seems right, but fundamentally everything is wrong, but that is deemed ok. 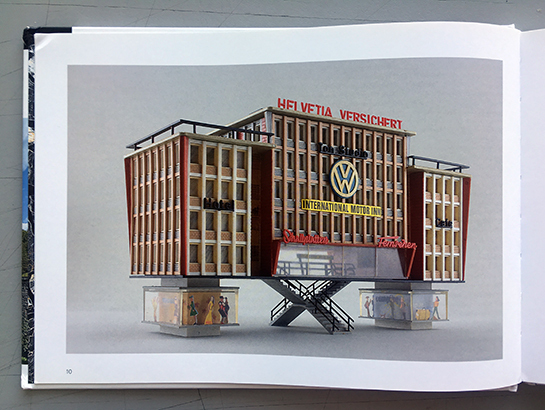 Image taken from märklinModerne p. 10 / Modernity on “stilts”: the Faller model “Helvetia commercial bock”. In many ways the architecture is just the stage, really important are the references to advertisement as the real source of identity on this piece. It’s maybe like Alice’s Adventures in Wonderland (1865) and its sequel, Through the Looking-Glass (1871) by Lewis Caroll. It is a temporal escape into a distorted world where everything and nothing makes sense. To archive this the references to real-world experience need to be fitting and responsible for that part is the German company Faller. These are the makers of the well known and loved model sets to complete the landscaping around the railway tracks. 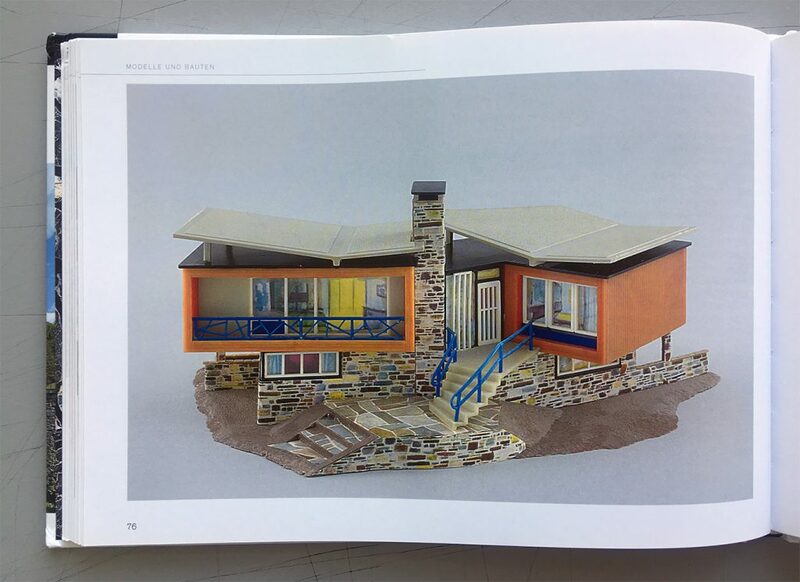 A recent publication märklinModerne portraits a whole series of model sets that were produced over the last century since the foundation of the company back in 1946. Still in business and a market leader the company produces about 1.2 million buildings a year. 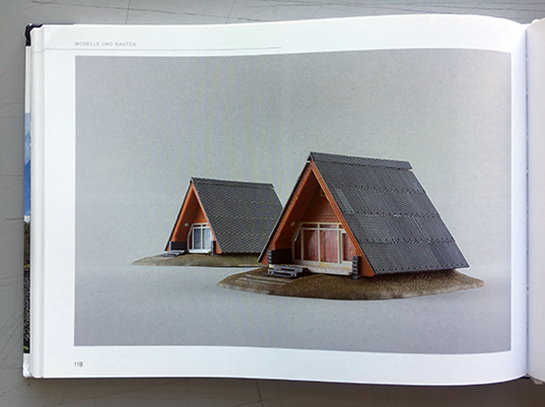 The publication focuses on how these model sets have portrait the “modern” idea of architecture and the ways and strategies that were developed to achieve this sense of “modern” as it was prevalent after the 1950s throughout the world. Image taken from märklinModerne p.76 / Villa in Ticino. One of the most popular set overall. It is based on an actual building by Alberto and Aldo Guscetti and the Studio Ticnico. 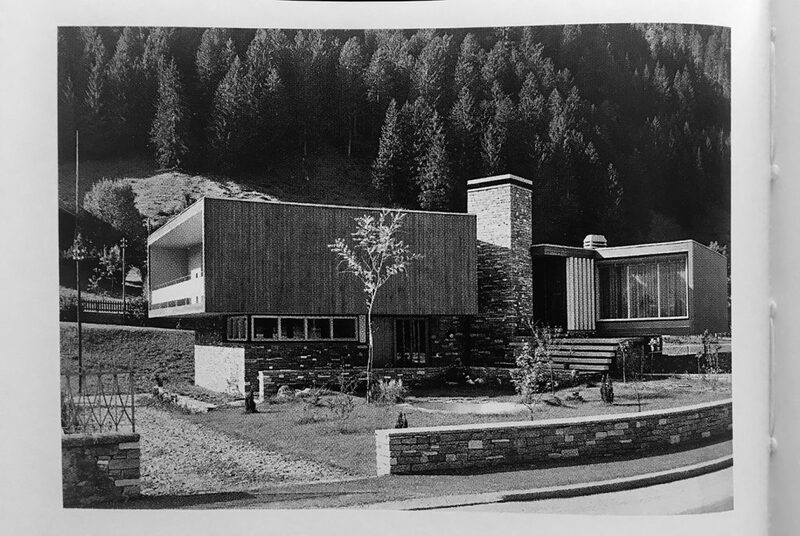 It was build in Ambri, Switzerland and later copied not just for the model set but also as a villa prototype that was build several times in Güterbach, Germany, the hometown of the Faller company by the companies house architect. Below the original in Ambri, Switzerland around 1958. It still exists today. This new publication by Daniel Bartetzko (ed) and Karin Berkemann (ed) is published by Jovis, Berlin. It accompanies an exhibition that was shown earlier this year at the DAM (Deutschen Architekturmuseum) and will still be on show until October 7th at the architekturgalerie am weissenhof in Stuttgart. Furthermore, this project is portrayed by a film by Otto Schweitzer. If your interested to see what Faller are offering in 2018, have a look at their latest catalogue here on issuu. Why the editors have decided to name this publication märklin and not Faller will remain a mystery. The topic and the content is so retro for sure. This is about enjoying the good old times when modern was a thought after attribute when the vision of the future was bright and open and something to work towards. Working hard was the ideal and structured conformity the norm. In other words, everything was great. Not so much anymore it’s needless to say. Our attitudes and expectations have changed, the world has changed. 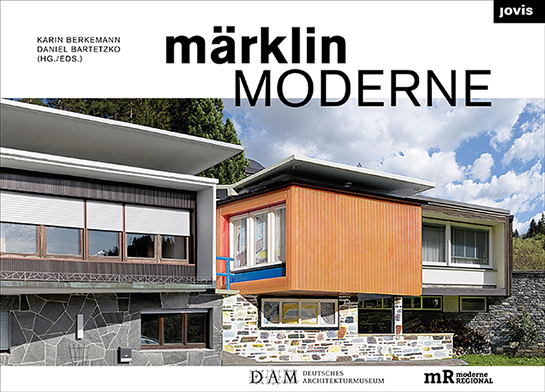 Modern has certainly been over past by smart and one is no longer so sure in professional circles about the achievements of that time especially modernism has endured a lot of damning criticism recently. So where do we stand? Image taken from märklinModerne p. 118 / Nurda Vacation (holiday?) House. It might not be modernist, but certainly “modern” in the sense of this publication. A great example of the go do attitude and believe in technology and progress of the second part of the last century. A lot of us who are old enough have certainly once holidayed in one of those. Not something the book can answer and unfortunately is lacking notably in the way it is designed or is it? Anyhow this is a discussion starter. Something that embodies all the good of the past in a little cardboard box with plenty of plastic pieces – so get creative. The one thing it can still teach us amongst many others is the original is always physical! If the model is too, even better. Our cultural world is about practice, and making and these geeky model sets are precisely that. So go out and get one of those sets and build your self a modern design icon! Image taken from Jovis / Book cover. The everyday objects that are embedded in our lives so that they are taken for granted are most likely the ones that are quite fitting designs. While design is everywhere, it has a fundamental impact on our everyday lives and shapes quite literally the day. From the cereal pack in the morning over breakfast to the train ticket to the signage guiding the way or the interface of the mobile device our faces keep being glued to, to the built environment as such of course. 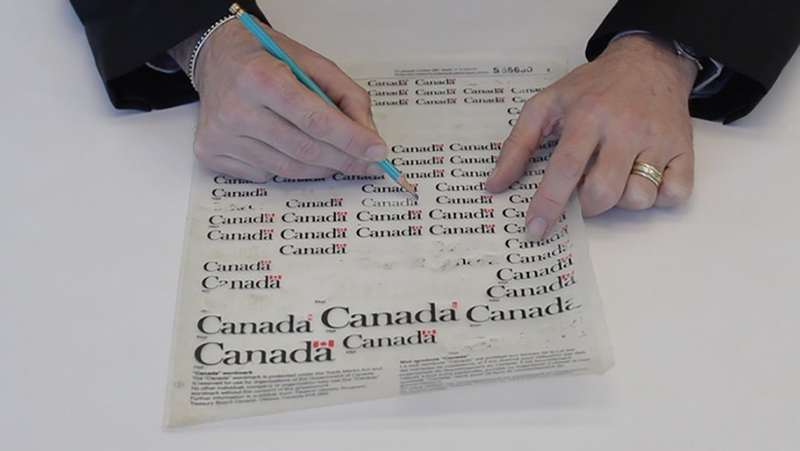 Since the 60s various great icons of design have been created, and a new documentary directed by Greg Durrell, Design Canada examines a number of these icons. It features original creators and contemporaries to tell the story that lead to the design of the Canadian Flag and other icons from that area. Several icons are being discussed in the film with their creators. For example the Canadian Broadcast Corporation’s logo by Burton Kramer 1975. “It always seemed clear that the real challenge for the designer was to help make our world a better place than it would be without our efforts.” Or the Air Canada and TD logos by Hans Kleefeld, both 1960s. “What makes a great logo is when the combination of colour, texture and form captures the essence of a business.”. Enjoy the preview and see Design Canada for screening details. Further stuff on Canadian Design also to be found for example on the CDR – Canadian Design Resource.